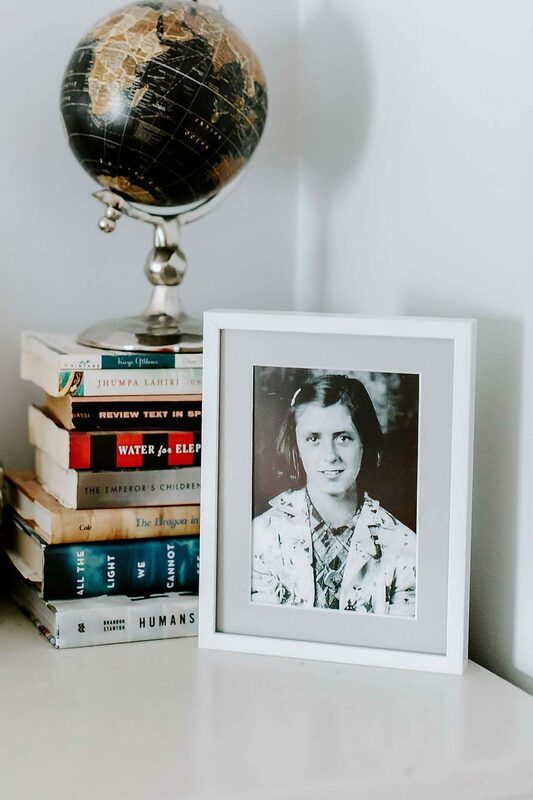 We all love the look of classic white picture frames, but what is the best one to get? What makes one white frame different from another? 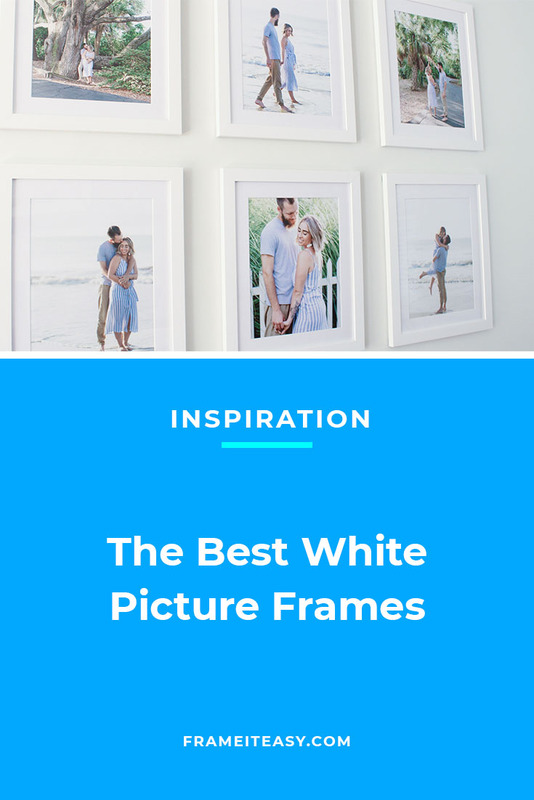 While we unfortunately can’t speak to every single white frame on the market, we’re sharing our top three best white frames here at Frame It Easy! First things first, why white? 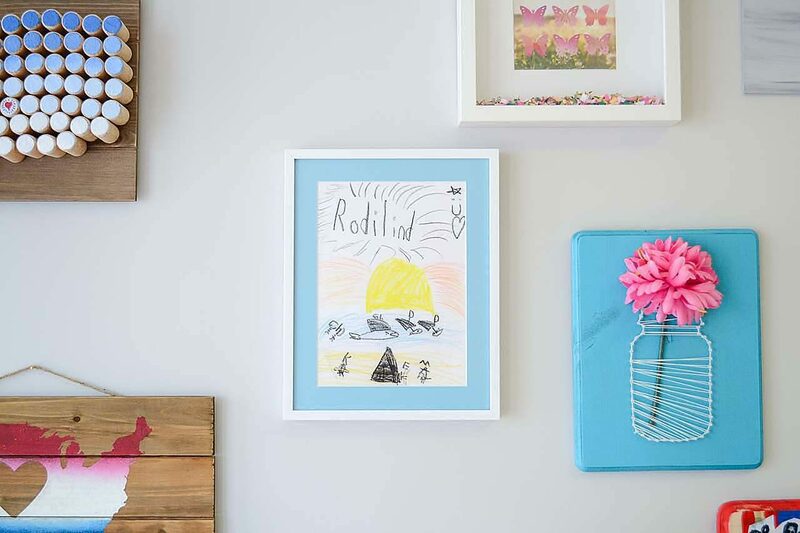 While there’s nothing saying you have to get a white frame for your project, if you’re unsure about what style or color to go with, white is a popular choice for a few good reasons. From an aesthetic standpoint, white is clean and crisp — it’s also light and airy which makes a space feel brighter and more open. Where darker colors can weigh down a room, lighter colors often elevate it. When we get into the color psychology of the color white, we note that white often makes us feel like we have a sense of space, making rooms feel larger. It can also symbolize a fresh start, furthering its cleanly connotation. In addition to making a space feel light and bright, the color white is also a classic choice. White is simple and neutral, so it can be a great, universal color to compliment whatever colors are in your art, photo, or room. From a fresh coat of snow to Marilyn Monroe’s iconic dress, white is a color with many associations that will never go out of style. If you don’t want to exaggerate or compliment any specific color in your art or photo, then white is a great blank canvas. It can make all the hues pop — particularly for colorful works — and can also be a great way to lighten up any mat board color you choose. And while it’s true that white alone is the obvious choice to brighten up your display, there’s a reason black and white is such an impactful combo. 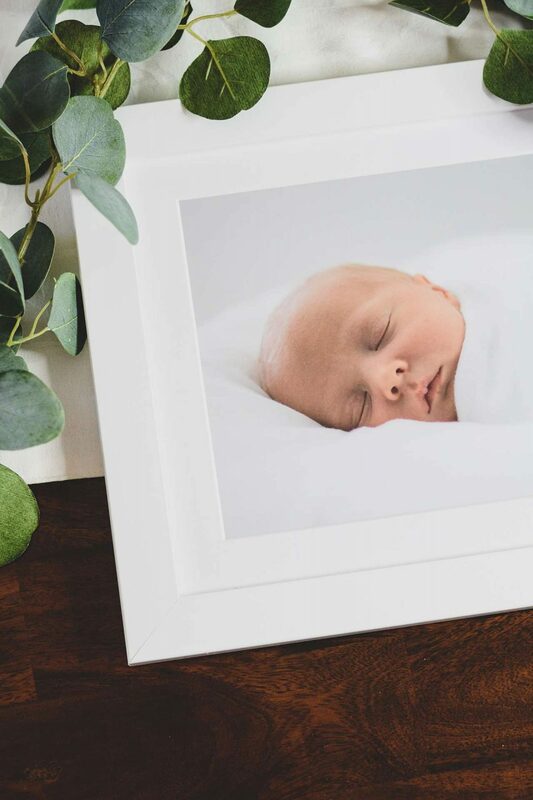 If you have dark colors in your print (or room) and you want to provide good balance, a white picture frame could create interesting and stark contrast. 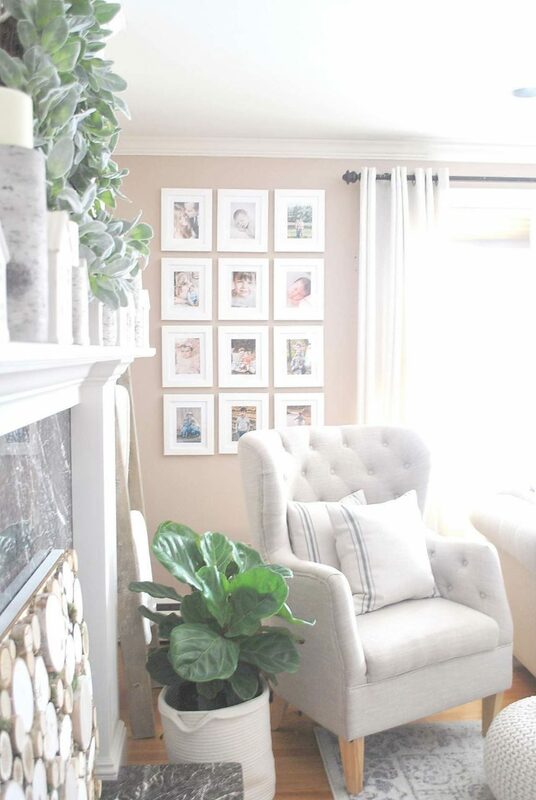 Ok, now that we’ve decided white is the perfect frame color, we need to decide which white picture frames in particular are best. While this will vary based on personal preference and desired outcome, we’ll go through some of our favorites. There are three white frames that we currently offer here at Frame It Easy (both wood and metal), and they might be better served for different looks as they have different measurements and aesthetics. Here, we’ll discuss our three white frame styles, their specifications, and what they might best be used for. 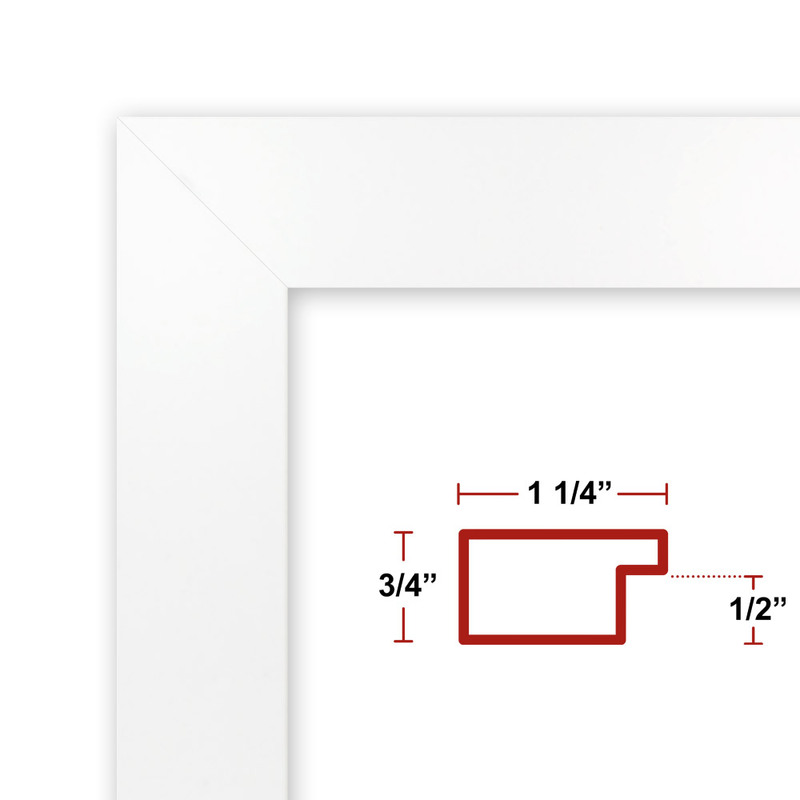 Our 71 wood frame is 1 1/4” thick, making it the widest of the white frames that we offer. It’s made from finger jointed poplar, which is a good low-maintenance framing material. 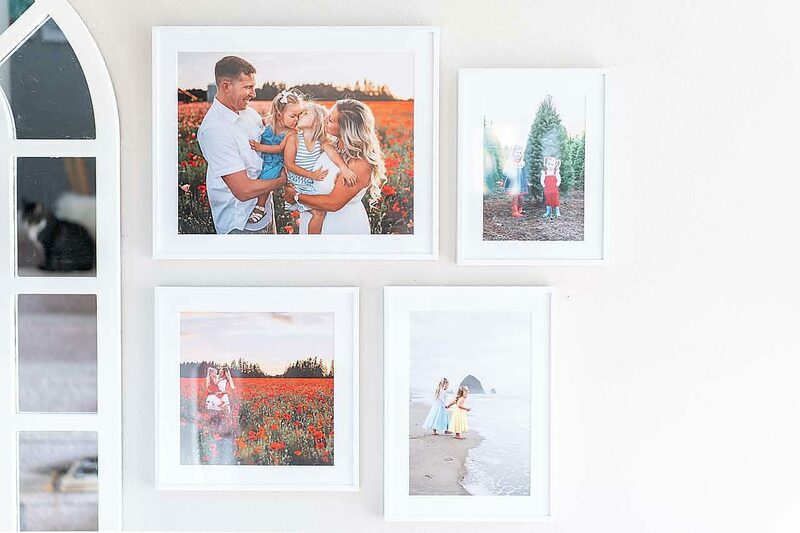 The wood frames have more of a homey feeling, too — great for family photos, engagement photos, typographic art prints, or really any general home decor. This style pairs well with any mat color, especially on the slightly thicker side. 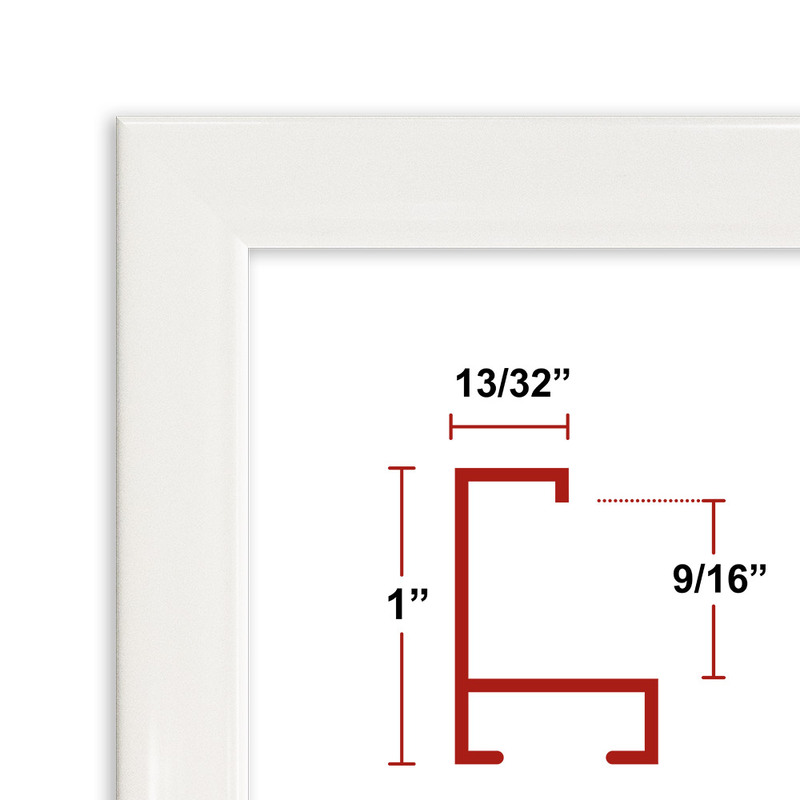 Our 93 metal frames are 3/8″ thick (just under 1/2″) with a flat front-facing profile. As with all of our metal style frames, they are powder coated (which is a process that binds paint to the aluminum) giving it a glossy, consistent finish. The “Art Size” can be up to 42″x62″ so metal is a particularly great choice for larger works. 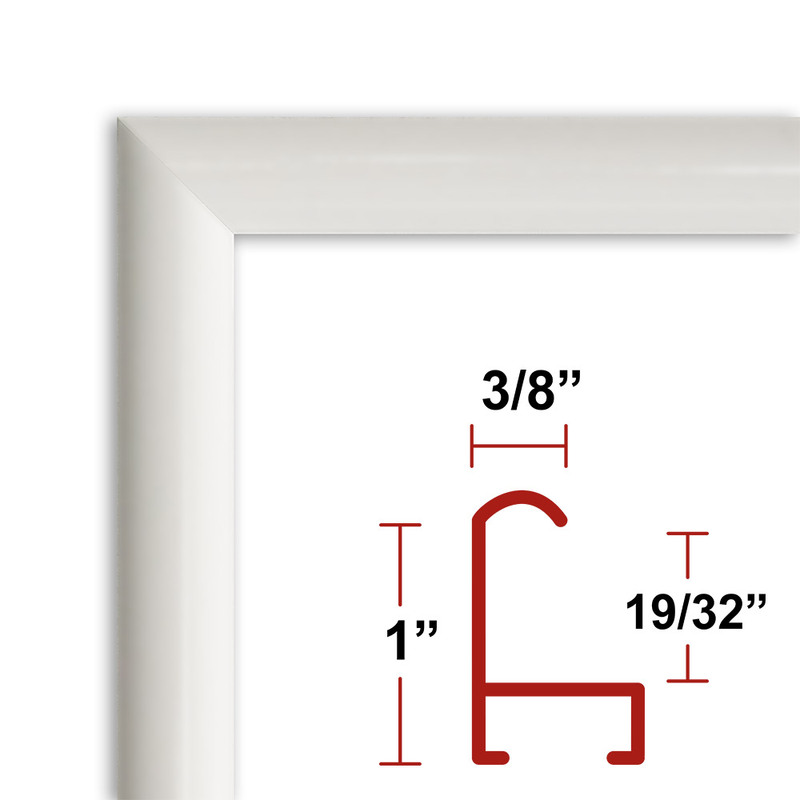 The 93 white metal frame has an especially contemporary look, which pairs well with more modern or abstract artworks — the profile is thin enough to provide a subtle border without being overpowering. Our 15 metal frame is also about 3/8″ thick, but rather than the flat/square edge of the 93 it instead has a rounded front-facing profile. This adds a softer touch, perfect for nurseries, baby photos, or colorful artwork. Now that we’re clear on the nuances between these three frame styles, how about some inspiration for using them? 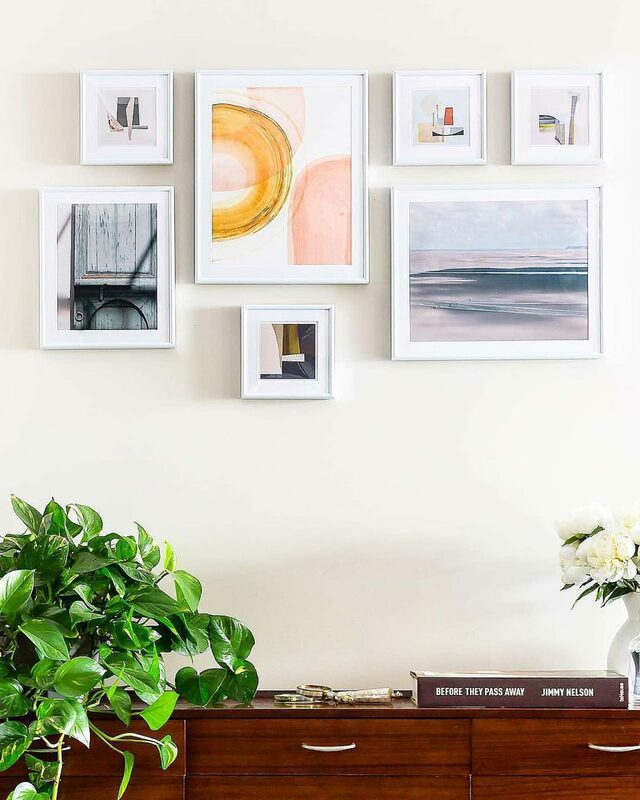 One of the cleanest and most classic looks around, an all white picture frame gallery wall is sure to make a statement in your home — especially if you compose it with 10+ frames! 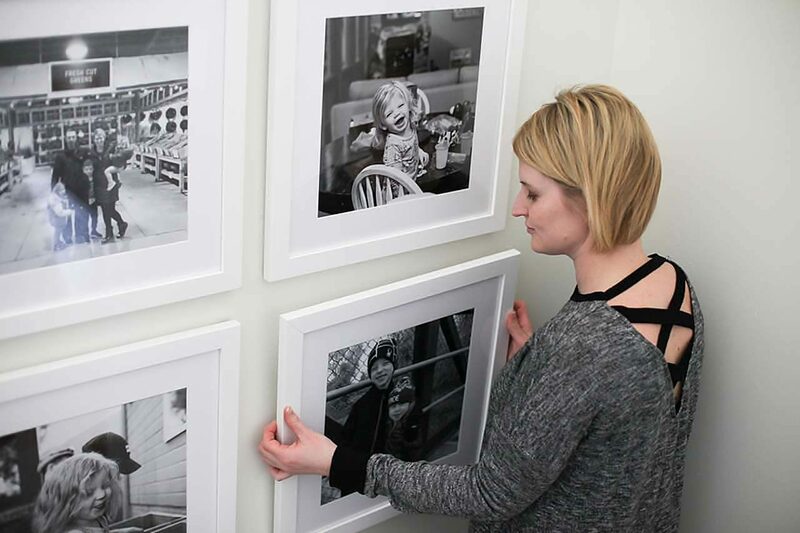 Want to take your gallery to the next level? Or maybe you have one photo / piece of art in particular you’d like to draw special attention to. 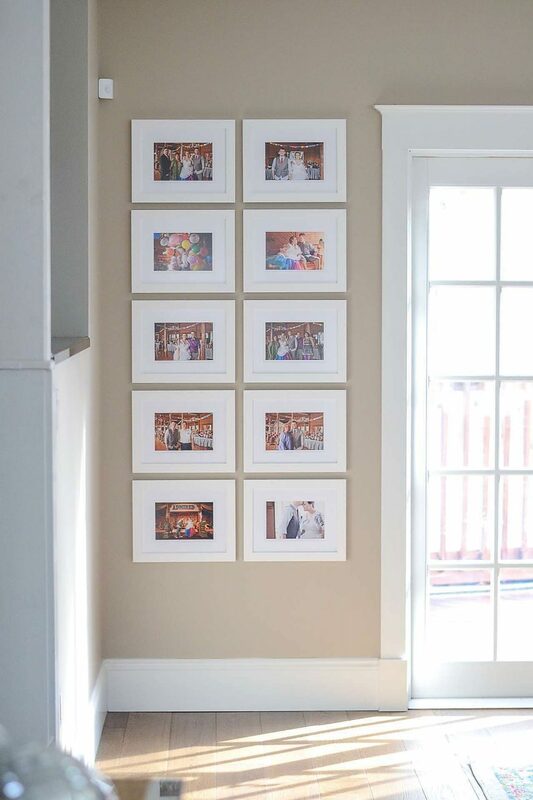 By adding in a single frame of a different color to your white frame collection, it’s sure to provide a unique focal point. 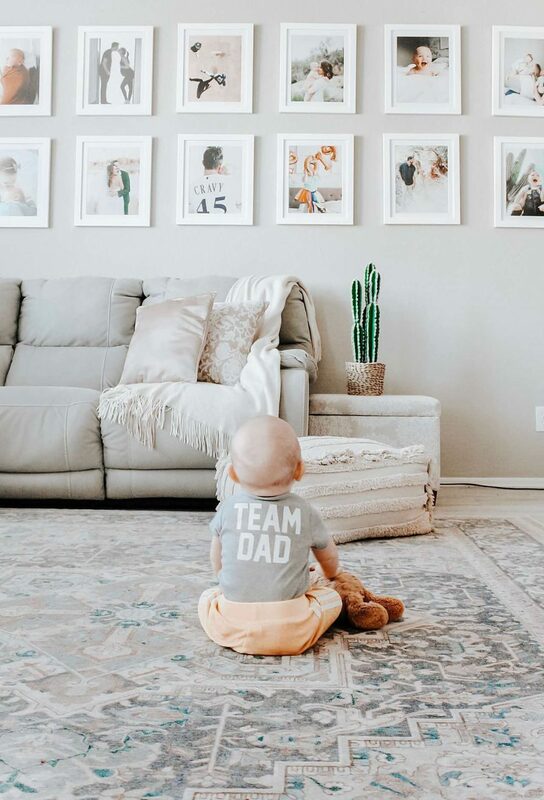 Earlier we talked about how white makes both a great neutral and contrast, which particularly holds true when your photos are striking on their own. Black and white photos inherently hold more contrast, so pairing one with a stark white photo frame will add a bit of dramatic flair to your gallery. 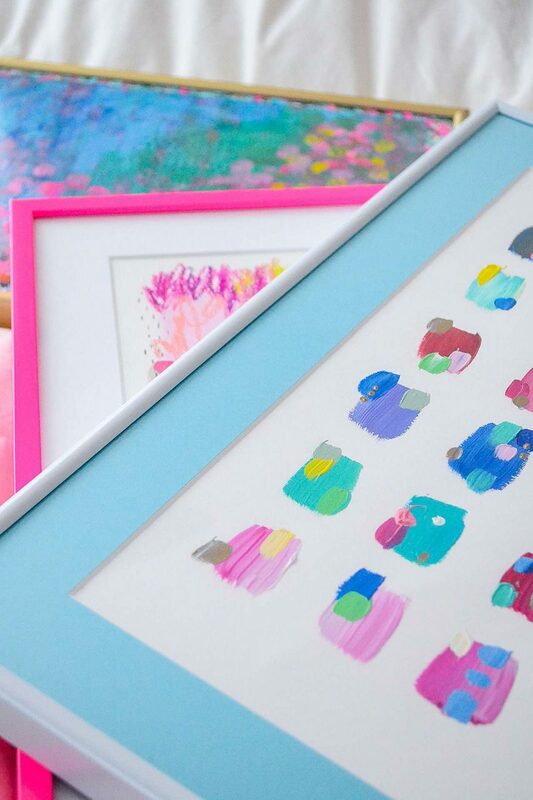 But if the extra brightness may be a little much, you can always pair a white frame with a colored mat to enhance some of your art’s colors. 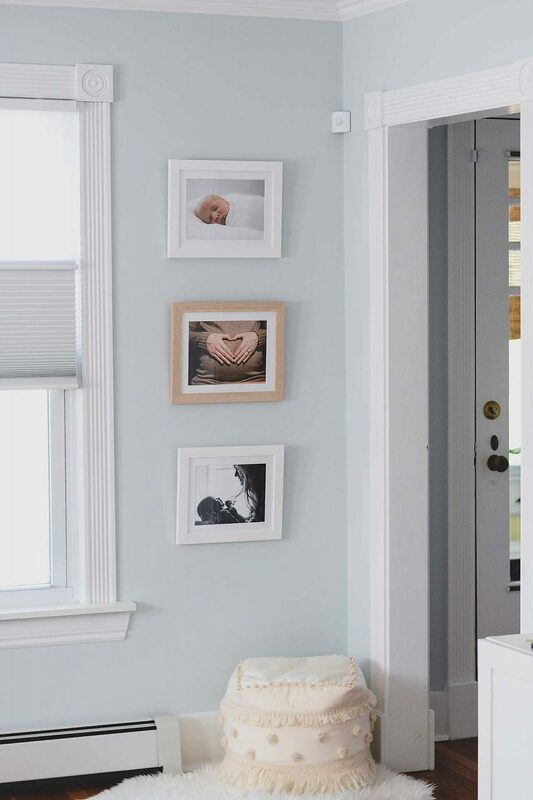 While white picture frames may not be right for every single framing project, it’s clear they’re usually a good bet when looking for something simple, classic, and clean. 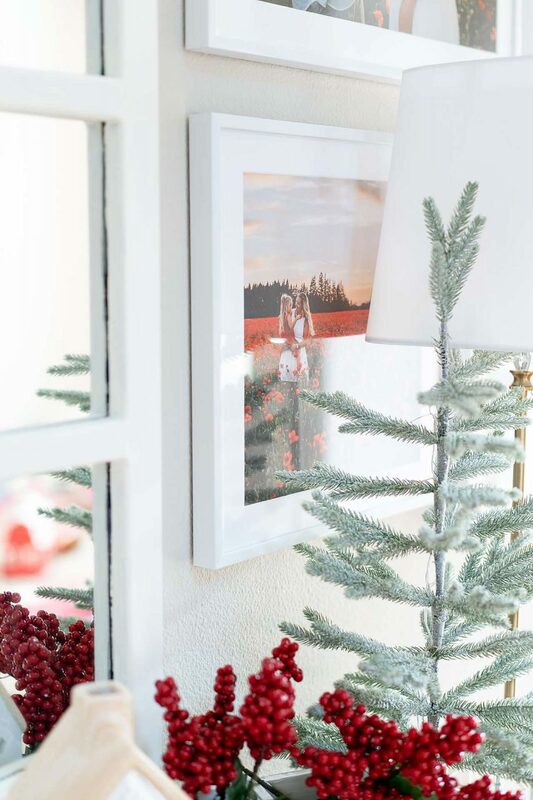 From brightening up rich artworks to contrasting impactful black and white photos, a white frame can serve as the perfect base for a variety of home decor looks. 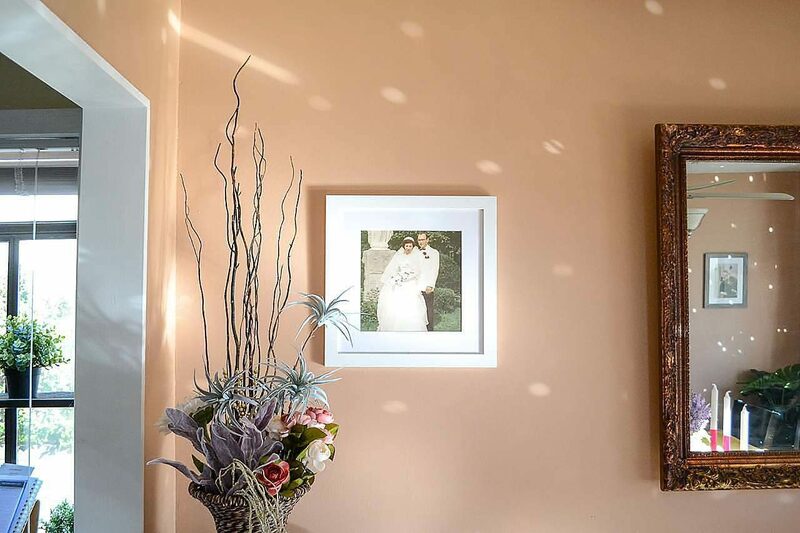 So the next time you’re hoping to frame a special photograph or a meaningful piece of artwork, consider going with white to truly make it shine.